The Young and the Restless rumors indicate that Lola Rosales (Sasha Calle) will move on with a new man, Dr. Nate Hastings (Sean Dominic). Lola still loves Kyle Abbott (Michael Mealor) and holds out hope they can reconcile. But his marriage to Summer Newman (Hunter King) is standing in the way of them being together. Kyle keeps telling Lola that he’ll divorce Summer so they can be together, but that doesn’t seem to be happening anytime soon. Summer wants to stay married to Kyle and something will come along to help in her plan to keep Kyle. With Kyle no longer available, Lola will find love with another man. 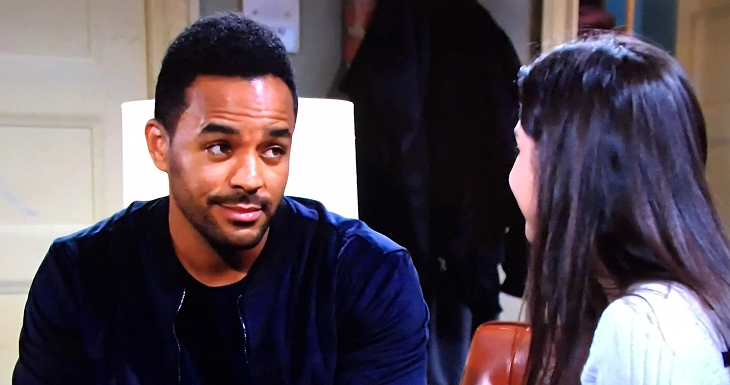 Lola’s new love interest could be Genoa City’s hottest doctor, Nate. Do You Like Lola And Nate As A Couple? Nate performed Lola’s liver transplant and the good doctor wants to make sure his patient is recuperating comfortably. But Nate’s checkups on Lola could become more frequent when he develops romantic feelings for Miss Rosales. Now that Lola’s single, she’s free to date whoever she wants and Nate could be her next boyfriend. Nate hasn’t dated anyone since arriving in Genoa City and it’s caused a lack of storyline for him. But a romance with Lola would heat things up for the doctor. Lola and Nate’s relationship would bring interest to their characters and create drama. When Kyle learns of Lola’s new boyfriend, he’s going to be jealous and try to come between the couple. Kyle’s interference is going to cause problems in his marriage to Summer. Plus, Nate cares about Lola and he doesn’t want Kyle doing anything to upset her. The two men will get into arguments over Lola, and some of those fights may be physical. The Lola/Kyle/Summer triangle isn’t over yet. With another person involved, this new quadrangle is going to heat up. Do you want Lola to move on with Nate or do you want her to reunite with Kyle?